Please feel free to ask for information necessary for daily life, such as medical care, health and welfare, child care, etc., and also regarding culture and customs in daily activities. Closed on Saturday, Sunday, New Year holidays. Information is provided free of charge. Confidentiality is maintained. The last day of the service within the year is 28th of December. The reception will be until 4pm for both calls and visits. We will open on 4th of January at 9 am. 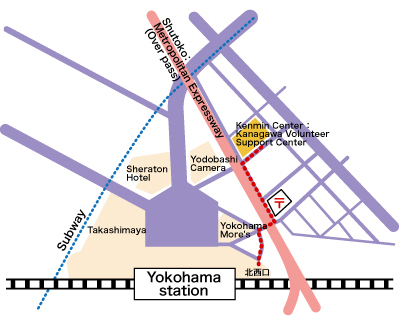 5 mins walk from Yokohama station/West or North-West exit. 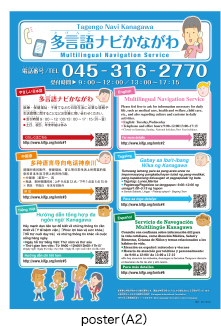 Tagengo Navi is operated by two organization which are entrusted by Kanagawa Prefectural Government (K.P.G).